Nearly two months after the epic 2012 Mayan Apocalypse Brew Night, the 2012 Mayan Apocalypse Ale has completed fermentation and is bottle-conditioning. 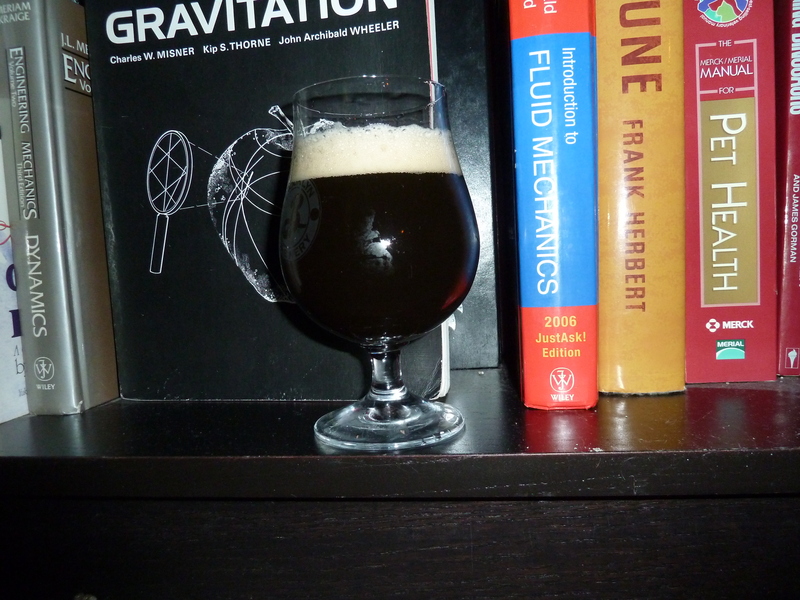 Starting at 1.068, a strong ale of sorts, this puppy fermented down to 1.014 using S-04 (impressive). Fermenting around 68 F, the S-04 was quite a monster, coming to terminal gravity quite fast (high to dropped krausen in less than two days!). After sitting in the primary for four weeks (in part by my laziness), I transfer this batch to bottle (as I normally do), primed with 58 grams of corn sugar, yielding 24 bottles (remember, this is small batch brewing). Since this is a strong ale, I plan to age this one to develop interesting and complex malt characteristics. However, I was too impatient to wait roughly six months till the summer solstice to give this one a whirl. Thus, the fresh tasting notes of the 2012 Mayan Apocalypse Ale. 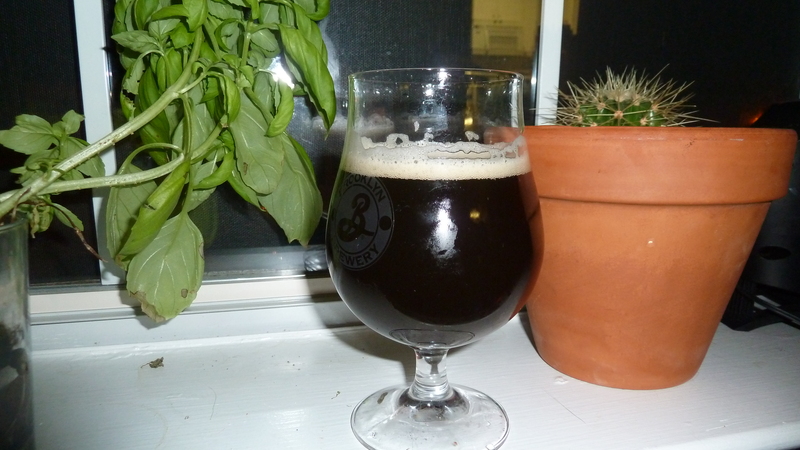 Pouring into a snifter glass, the strong ale has a deep amber/red in color, going to brown, with a tight, white lasting head(although not very noticeable in the pictures). In sniffing this beer, the aroma was surprisingly complex at such a young age, being malty with strong notes of dark fruit and rose-like floral hoppiness. Also, faint hints of dark malts were present. In tasting, much of the aroma comes through with additional notes of dark rum and molasses. The most striking feature of this beer is in the mouthfeel. This one is incredibly smooth, noticeably different from similar ales I’ve brewed using American ale strains (like White Labs 001), which tend to have a sharper, more aggressive mouthfeel. In addition, no alcohol notes are apparent in the aroma or taste, which makes this strong ale dangerously drinkable (one would think it to be a 5 percenter). Overall, I am quite pleased how the 2012 Mayan Apocalypse Ale turned out, especially at this young age. I find this recipe to have strengths in its apparent sessionablity, smooth mouthfeel, and malt complexity. However, I would changed a number of things in a re-brew. First, I would switch yeast strains (maybe to Wyeast 1968 or 1028). I have used S-04 a number of times, and overall I think there are more desirable English yeast strains available today. I actually do not like its (ultra) fast fermentation characteristics. Also, I would up the hop rates a bit. The bitterness was noticeable, but not big enough for my palate. Stay tuned for a 1-year tasting. It will be interesting to see how this one ages. Cheers, and happy brewing! « Show me your Pewter Tankard!